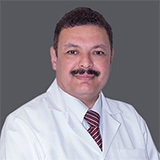 Dr. Mohammed Harriss completed his postgraduate training in the field of Pulmonary Medicine from Institute of Chest Diseases under Calicut Medical College, Kerala, India during the period of 1996-1999. 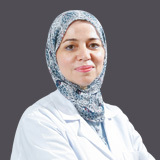 Dr. Harriss obtained his National board in the field of respiratory medicine in the year 2000. 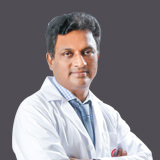 He was working in various reputed hospitals in India as a Consultant Pulmonologist including the well-known Malabar Institute of Medical Sciences (MIMS). 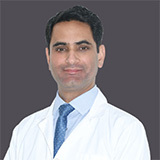 Completed his MRCP in the year 2007 after working as a Senior Specialist in Critical care medicine in Rashid Hospital for 3 years, He finished his European Diploma in Intensive care (EDIC) in the year 2010. Dr. Harriss is currently a member of different organizations including European respiratory society & European Society of Intensive Medicine. Dr. Harriss’s expertise is in Allergy & Asthma, Immunotherapy for allergic Diseases, Interventional Pulmonology, Pulmonography (Sleep Study), Stop Smoking Activities, Pulmonary Function Analysis, and Medical & Pulmonary Critical Care.